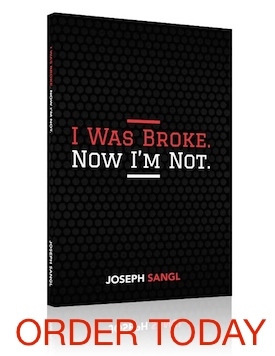 If you are broke, should you listen to a broke person’s advice on how to handle money? If you are overweight, should you listen to an overweight person’s advice on how to lose weight? If you are out of shape, should you listen to an out of shape person’s advice on how to become physically fit? Who are you listening to for financial advice? I am listening to Dave Ramsey. I also listen to David Chilton. Robert Kiyosaki is great to listen to. Most of all, I listen to my wife, Jenn. This is my 100th blog post!!! Melea now has enough in her college fund to pay for a year of college! The fully-funded car fund may be spent soon. Debt is dumb. Figure it out! I almost have a “ZERO” on my FICO (“I love debt”) score. One open credit account – our home mortgage. I can’t wait to make it go BYE-BYE-BYE. My goal is to have a ZERO for this score. Why do you need a great FICO score? TO GET MORE DEBT!! !